We believe in being trustworthy, caring, inspiring and professional. 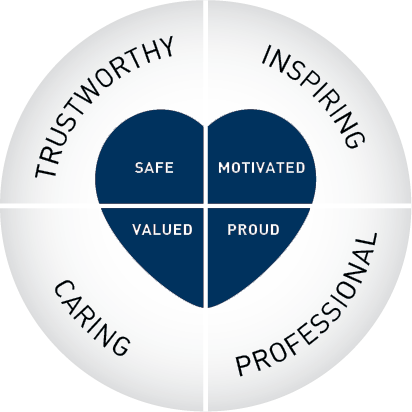 In living these values internally and externally, we make people feel safe, valued, motivated and proud. We believe in building long term, trusting relationships with our clients. We care deeply for the delegates we work with and balance the need to be professional with also being human in our delivery. We aim to inspire every single person who attends one of our training programmes to fulfil their potential to be the best they can be.